A Texas federal judge's ruling Friday invalidating the Affordable Care Act could create political headaches for Medicaid expansion supporters in states that are moving to implement or maintain expansion. If it's upheld on appeal, which is highly uncertain, U.S. District Judge Reed O'Connor's decision declaring the entire ACA unconstitutional would eliminate federal authorization and funding for the expansion of Medicaid to low-income adults. That would force states to shoulder the full price of covering people who would not qualify for coverage under pre-ACA criteria, rather than having the federal government pick up 90% of the cost. Lawmakers and hospital association leaders in states moving toward expansion, including Idaho, Kansas, Nebraska, and Utah, worry that opponents will cite the ruling as a reason not to push forward. Expansion advocates have similar anxieties in Alaska and Montana, where Republican elected officials hostile to expansion are considering whether to continue their states' expansion program. The ruling strengthens the hand of Republicans pushing to add work requirements to any expansion program. 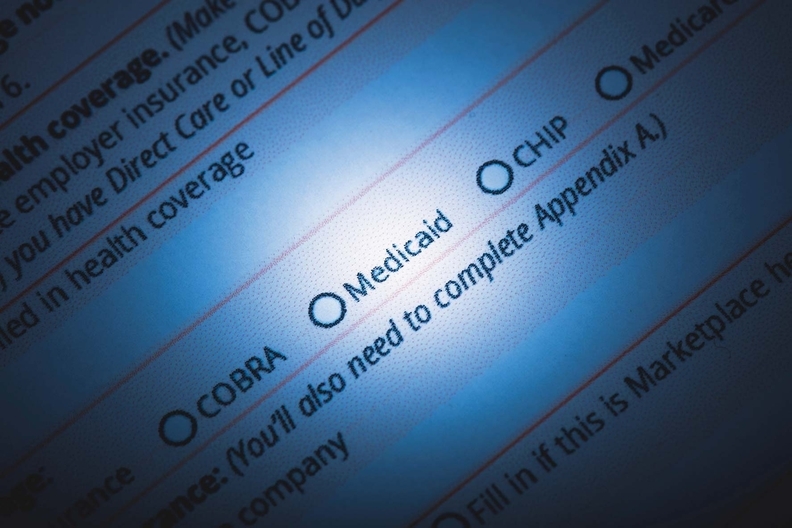 It could even prompt officials in some of the 30 other states that have expanded Medicaid to reconsider their programs. Many states have statutory provisions automatically ending their expansion program if the federal government reduces its contribution. "We could see red flags re-ignite for state and local governments because the funding rules for traditional Medicaid could once again be put into play," said Eric Kim, a director at Fitch Ratings. But expansion supporters expressed confidence that O'Connor's ruling will be overturned, or else that Congress will move to protect the ACA's Medicaid expansion because of its popularity and the fact that it's providing coverage for nearly 13 million working-poor Americans. "We think our ballot measures made clear that people want to expand access to care," said Colin Diersing, a spokesman for the union-backed Fairness Project, which funded the three successful ballot initiatives in November and is exploring putting similar measures on the ballot in other states. "Lawmakers in those states should respect the will of voters and begin to implement those initiatives." In Nebraska, where voters approved a binding ballot initiative in November to expand Medicaid, Republican state Sen. John McCollister, who supports expansion, predicted that many of his GOP colleagues, along with Republican Gov. Pete Ricketts, will point to the court ruling to try to delay or halt implementation. "Most Republicans will use it as an excuse not to implement it until the legal situation is more firmly established," he said. "This could be a serious setback for expansion." On the other hand, Nebraska state Sen. Adam Morfeld, a Democratic expansion supporter, said the ruling makes no difference because the ballot initiative enshrined expansion as a statute. "To stop this from happening, they'd have to repeal it," he said. "And they're not going to repeal it because they don't have the votes. If they don't fund it, I'll file a lawsuit and force them to. One way or another we'll get this implemented." Ricketts' office did not return a call for comment. In Kansas, where former Republican Gov. Sam Brownback vetoed the GOP-controlled Legislature's bill last year to expand Medicaid, expansion has a fighting chance in 2019 with the election of pro-expansion Democrat Laura Kelly as the new governor. But advocates there also predict opponents will seize on the Texas ruling to argue against expansion. "They will reach for anything to use as an excuse, and this will definitely be part of their toolkit," said state Sen. Barbara Bollier, an expansion supporter and retired physician who recently switched from the Republican to the Democratic Party. Tom Bell, CEO of the Kansas Hospital Association, lamented the fresh uncertainty the ruling creates, and expects opponents to cite it as a reason not to move ahead. But he sees it as a weak excuse because he believes Congress will preserve Medicaid expansion in the unlikely event the ruling stands. "We've had six years of people giving us excuses about why we shouldn't move ahead, and this will probably be the latest," Bell said. "People said every year the ACA will be repealed. It's never happened, and I don't think it's going to happen this time, either." Idaho state Sen. Fred Martin, a Republican who backs expansion, said O'Connor's ruling "absolutely will be a potent argument for Republicans to stop expansion," even though 61% of Idaho voters approved the ballot initiative. "This gives them more ammunition because it raises doubts about the future," he said. But he's less worried than expansion advocates in other states because expansion has already been signed into law in Idaho, to take effect Jan. 1, 2020. That gives the Legislature and the governor more time to watch how the legal process plays out. "Because of the time we have, for me it's not a major factor at this time," Martin said. That could change, however, if the 5th U.S. Circuit Court of Appeals upholds O'Connor's decision and the Supreme Court takes the case, he added. A spokesman for Republican Gov. Gary Herbert in Utah, where voters also approved a binding Medicaid expansion ballot initiative, said the administration is moving forward with expansion regardless of the Texas ruling. O'Connor's decision has no immediate effect while the appeal is pending, he noted. In Alaska, newly elected Republican Gov. Mike Dunleavy, an opponent of the state's expansion pushed through by Independent Gov. Bill Walker, has said he will conduct an impartial review of the program with an eye to reducing its costs. His office did not return a call about the Texas ruling. Becky Hultberg, CEO of the Alaska State Hospital and Nursing Home Association, said it's possible that GOP lawmakers will use the court decision to discourage the governor from doing that review and urge him instead to simply roll back the expansion. "But we trust he will follow through on his promise," she said. "We believe that's the responsible course of action." In Montana, the Republican-controlled Legislature has to decide whether to renew that state's expansion, which was spearheaded by Democratic Gov. Steve Bullock and which expires in June. A hospital association-backed ballot initiative to extend the expansion and fund it with a tobacco tax lost in November. Now, legislative Republican leaders are discussing renewing it with the addition of a work requirement and other personal-responsibility features, but the outcome is uncertain. State Senate President Scott Sales said the Texas ruling "gives more ammunition to those of us who don't think expansion is fiscally responsible or sustainable." Still, he predicted a bill renewing expansion will pass. By strengthening the position of expansion foes, the court ruling will provide greater political leverage to moderate Republicans trying to convince Democrats that adding a work requirement is necessary to save the expansion. "It will make the debate that much more robust," Sales said.